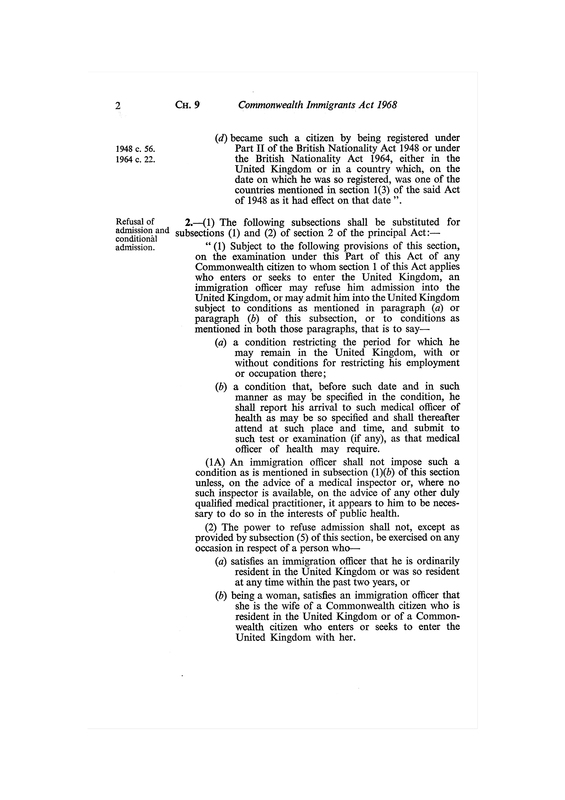 The Commonwealth Immigrants Act 1962 and The Commonwealth Immigrants Act 1968 reduced the rights of those living in the Commonwealth to move to the UK. At the time these were introduced there was a lot of anti-immigration feeling in the UK, perhaps best demonstrated by Enoch Powell’s Rivers of Blood Speech in 1968. After these acts people from the Commonwealth wishing to move to the UK required work permits.